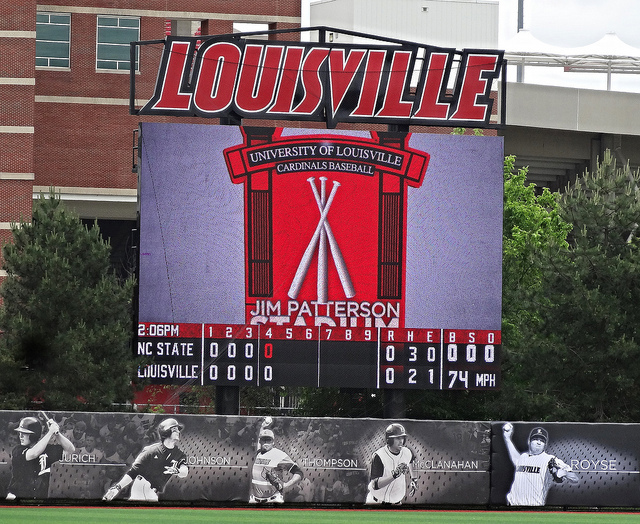 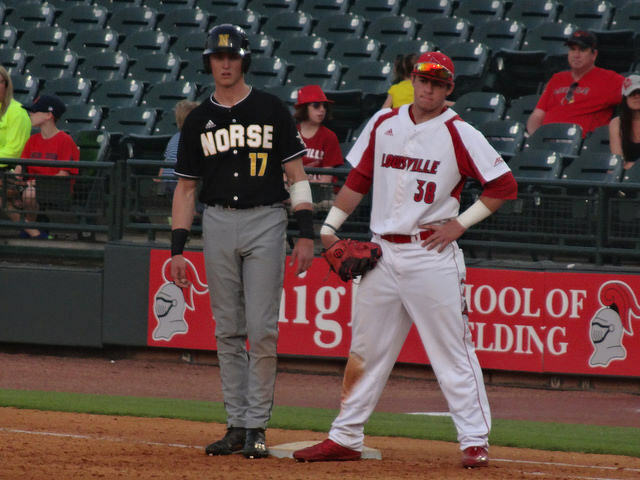 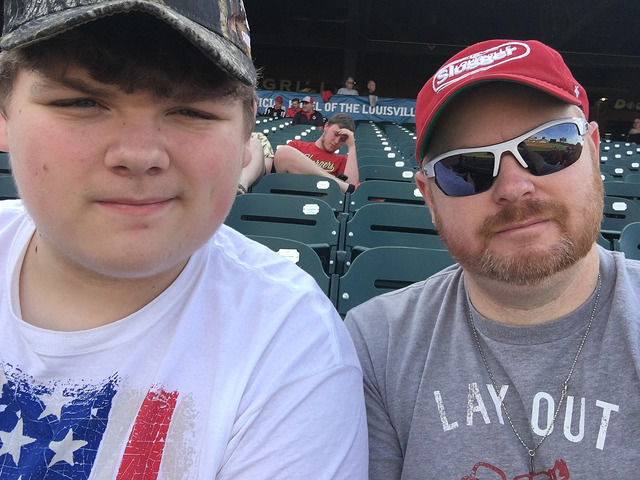 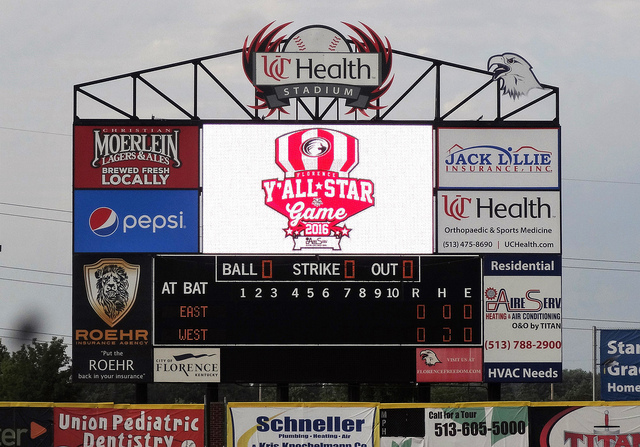 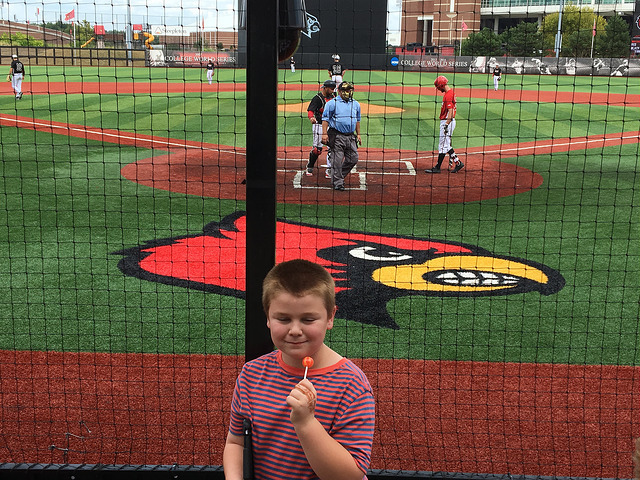 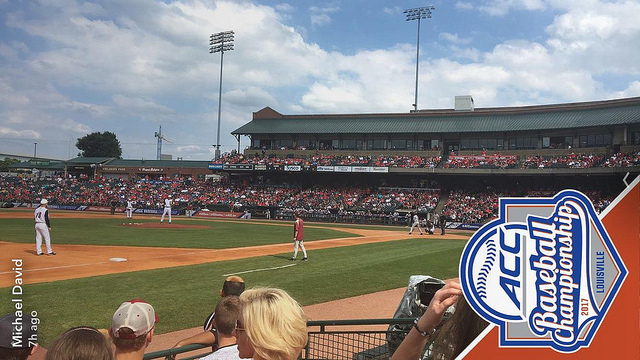 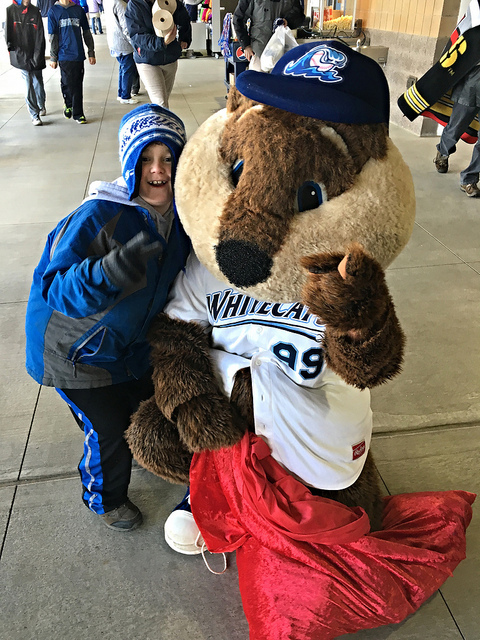 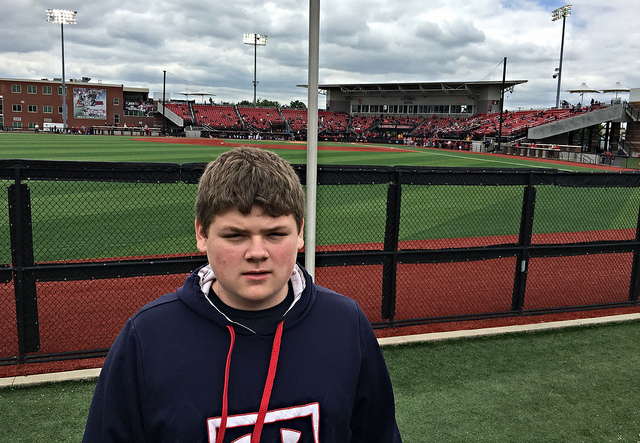 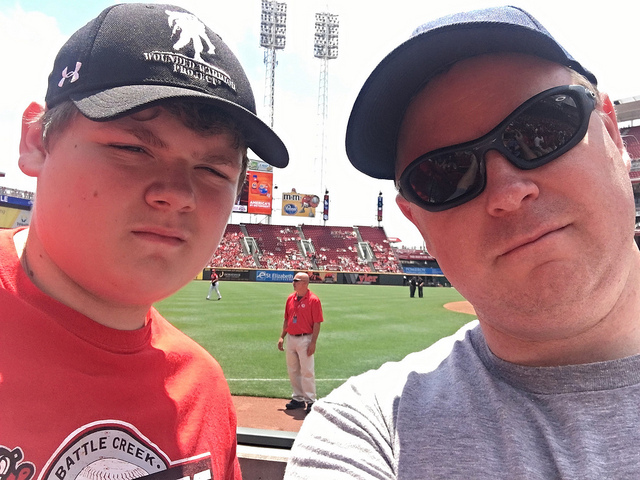 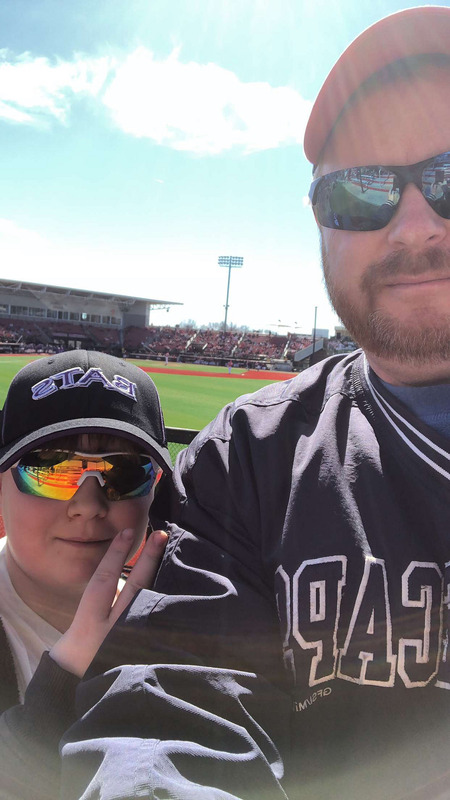 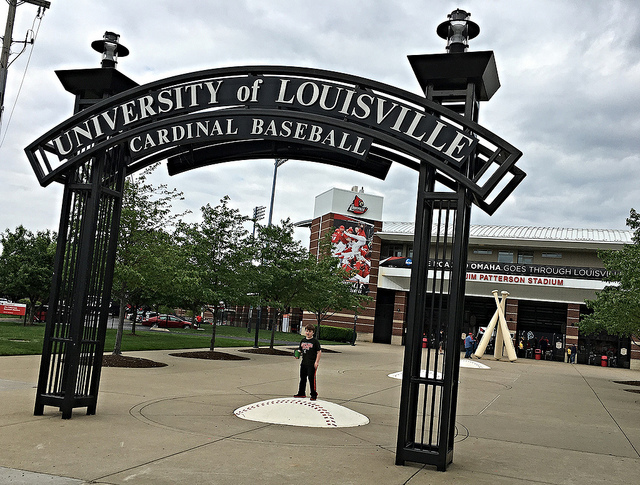 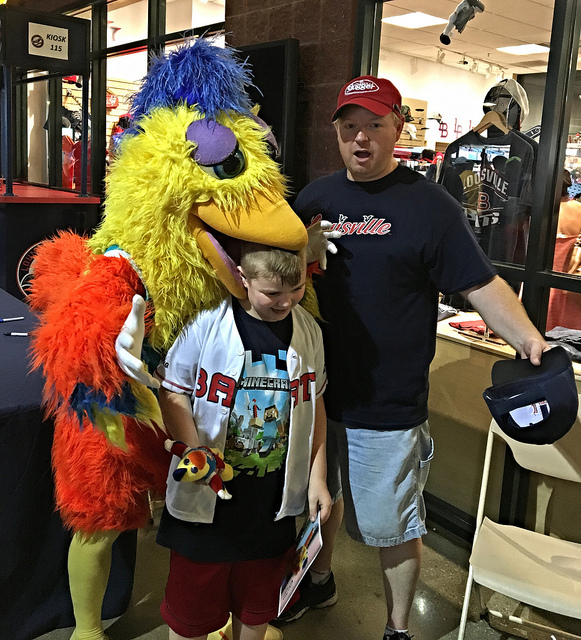 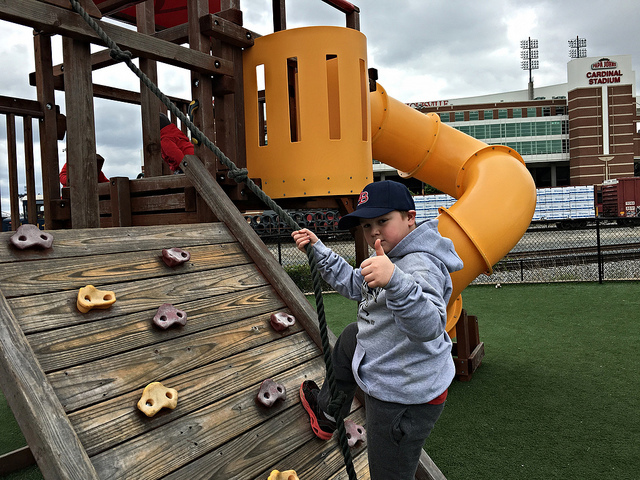 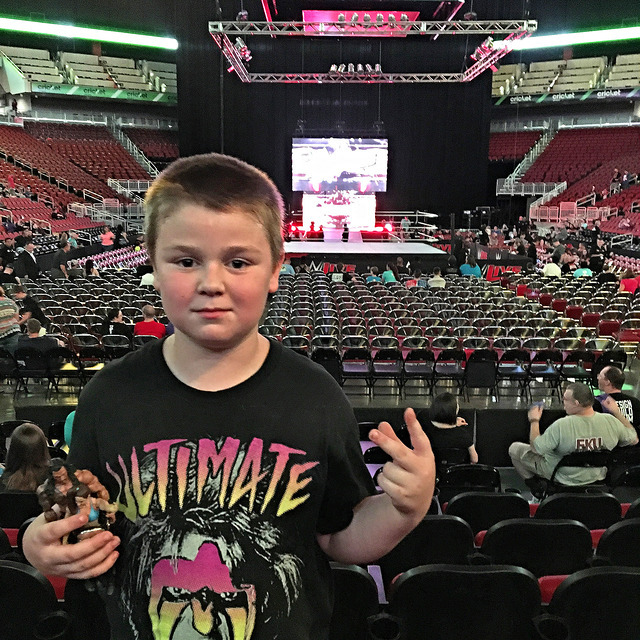 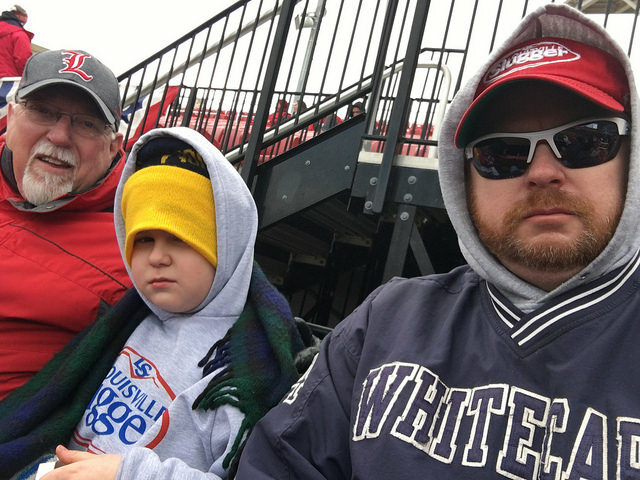 Jim Patterson Stadium-Louisville, KY: Brian had to make his first appearance at a Cardinals game sooner or later, so we just decided sooner. 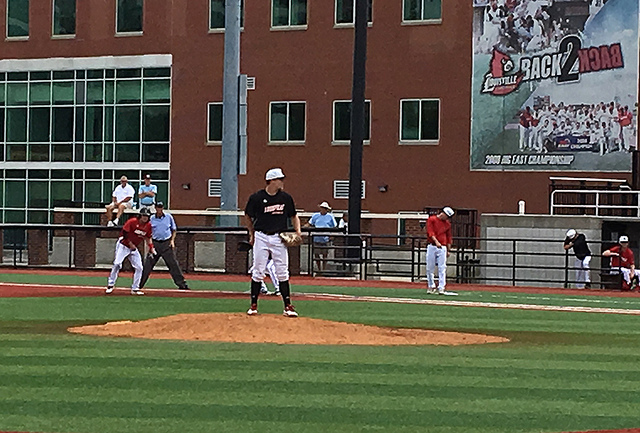 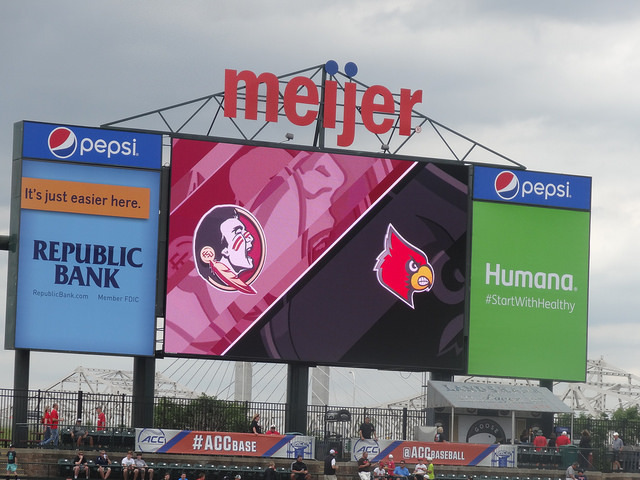 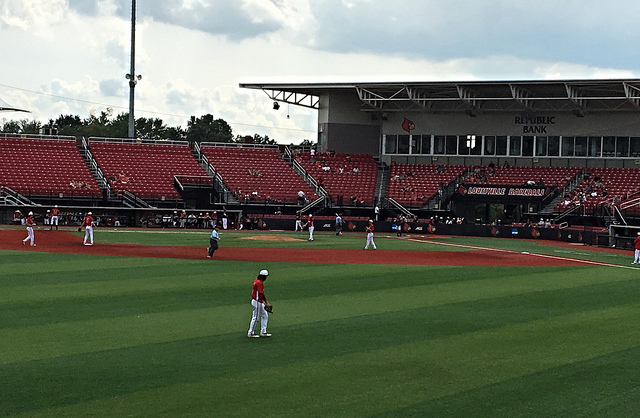 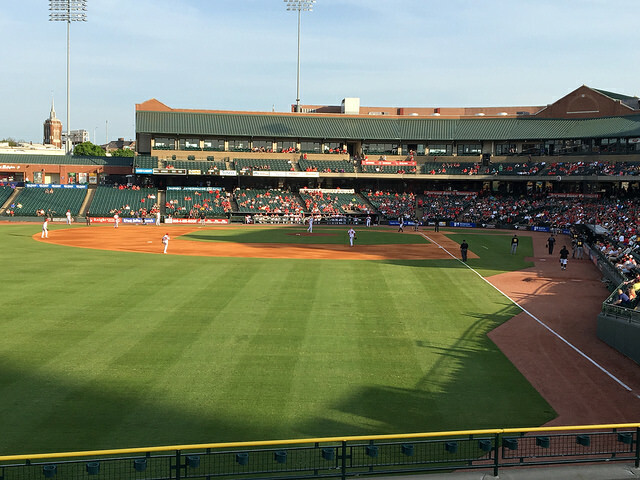 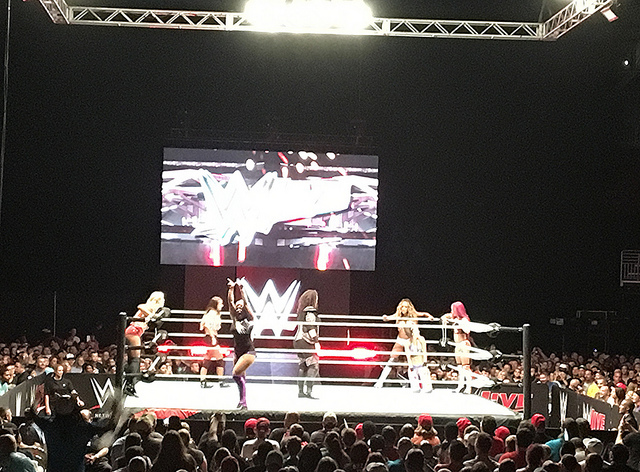 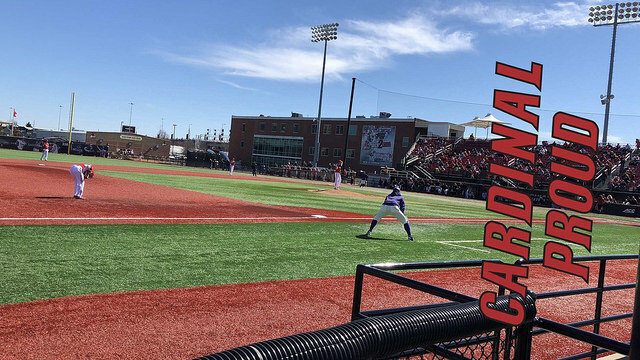 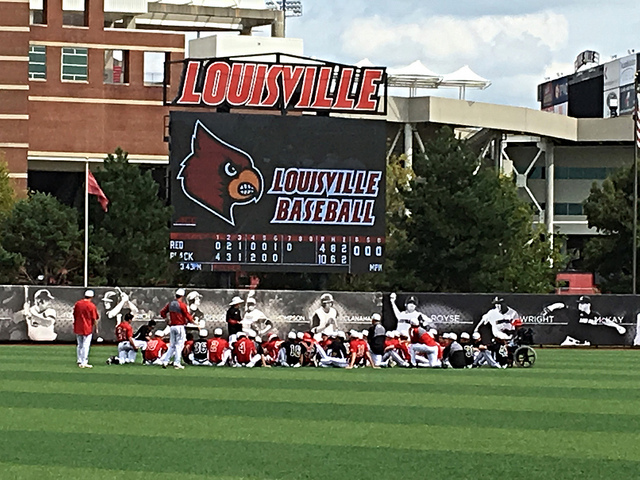 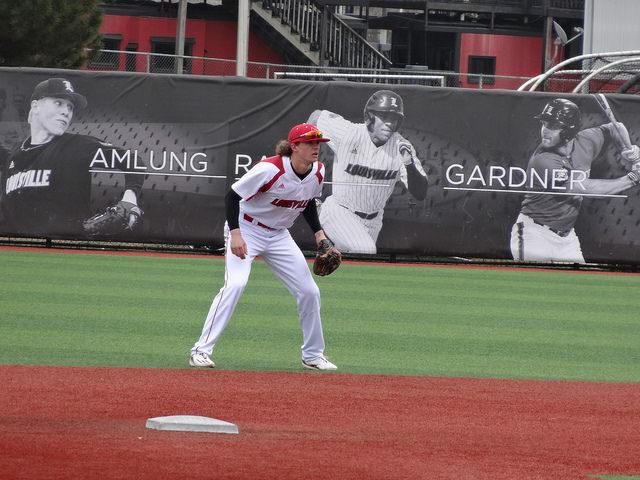 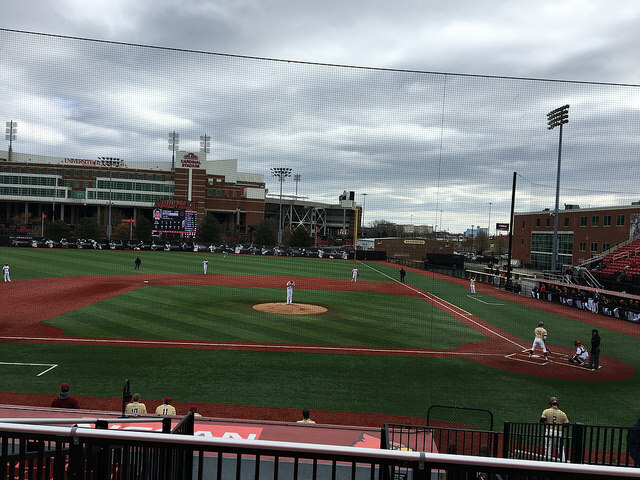 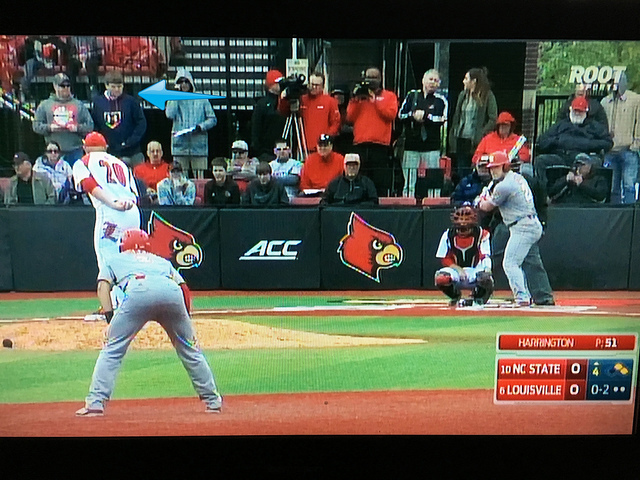 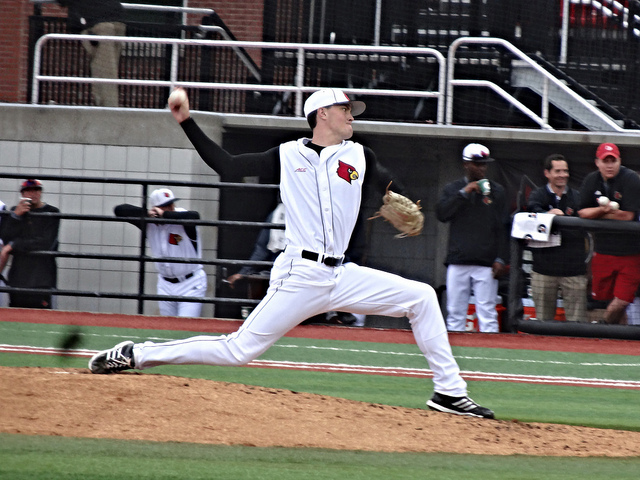 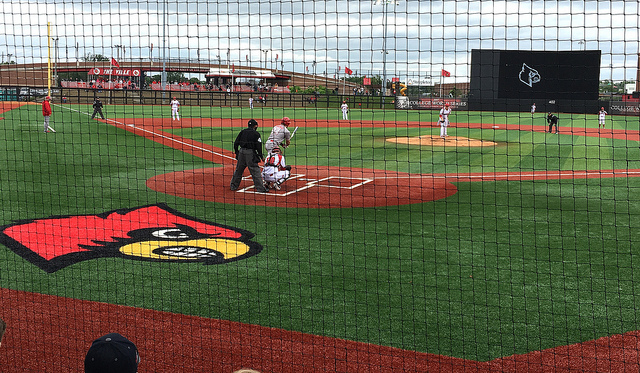 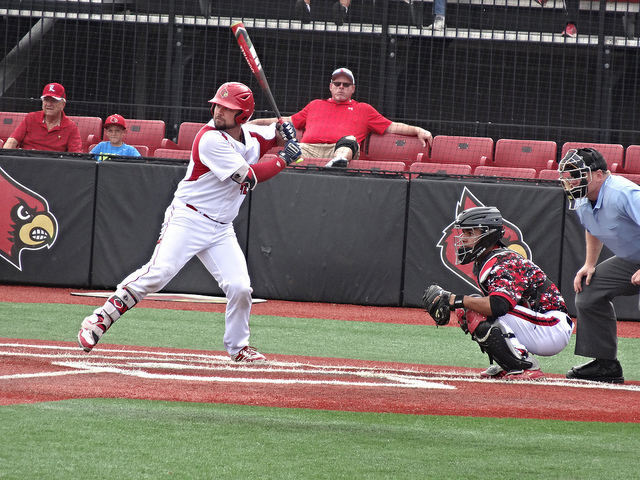 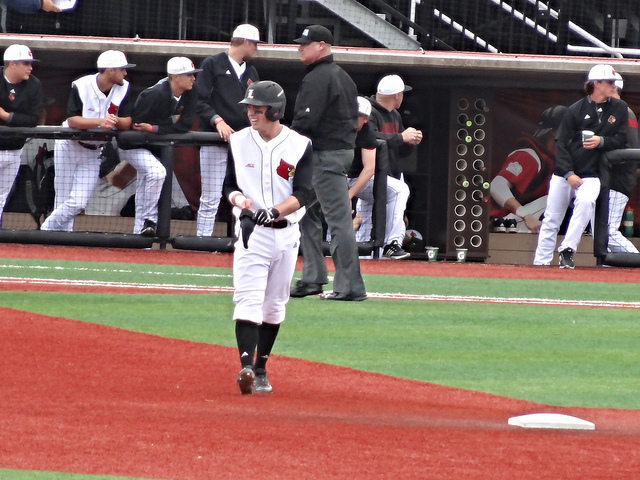 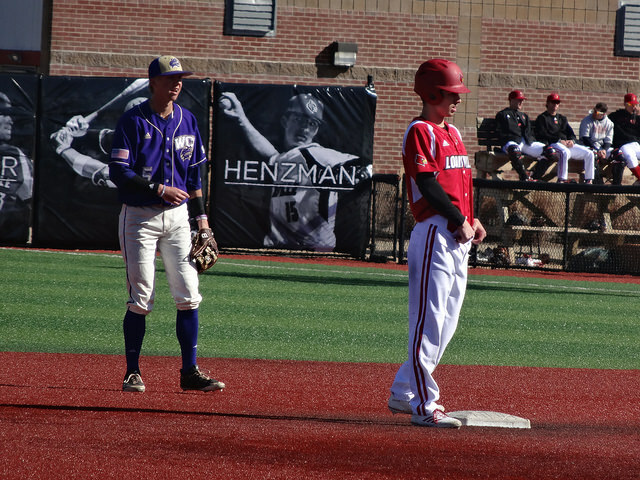 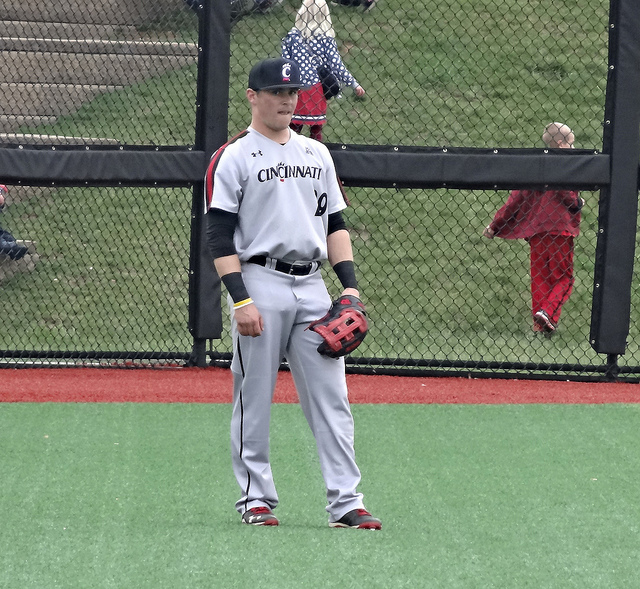 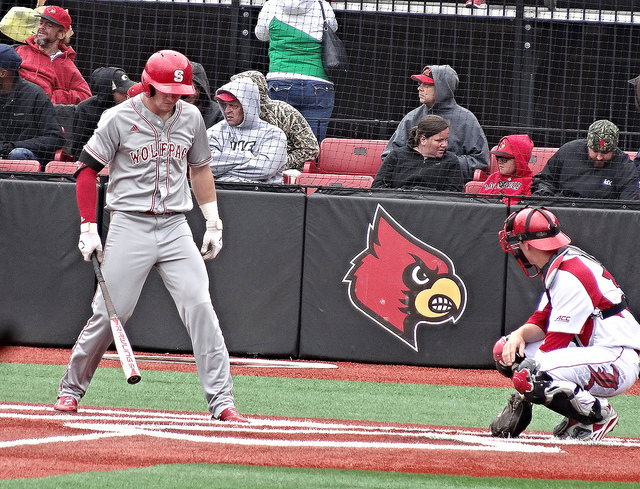 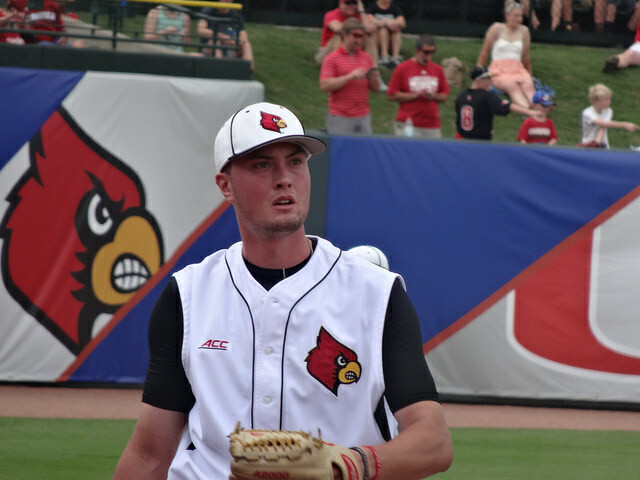 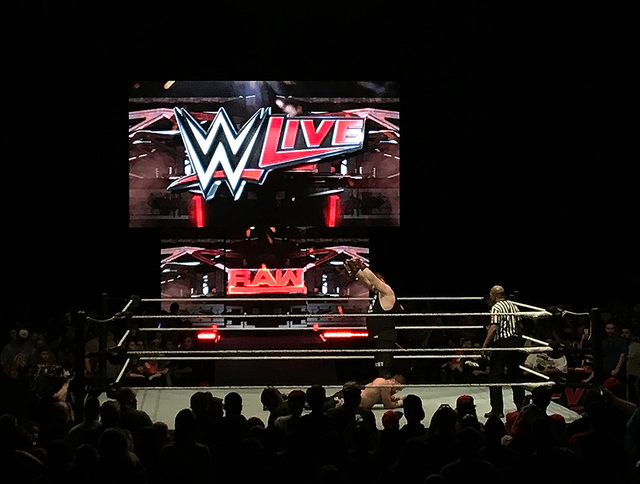 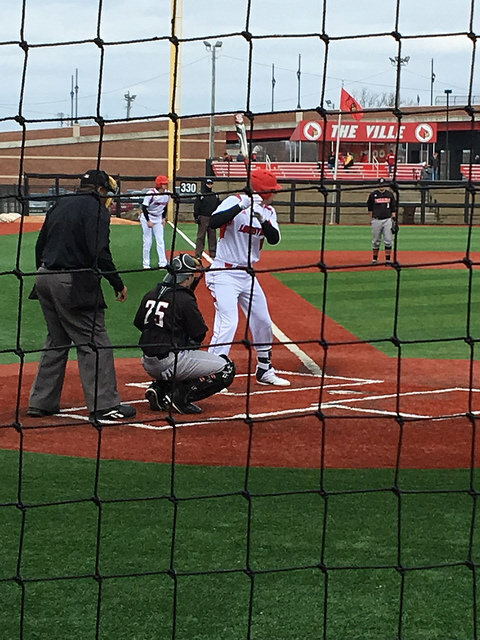 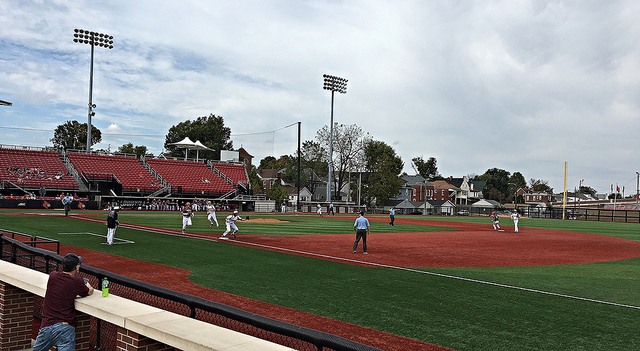 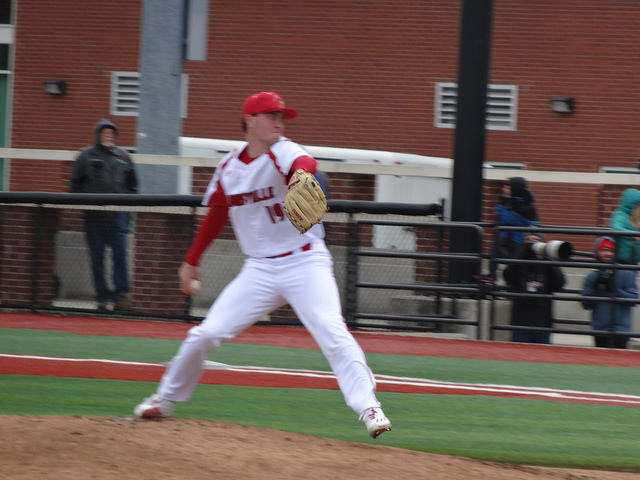 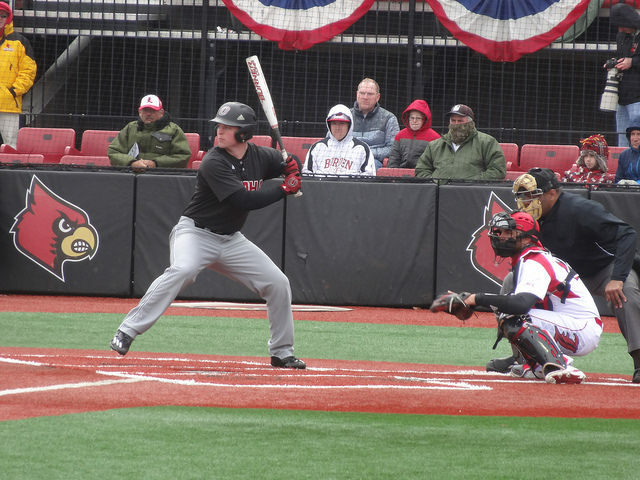 Louisville hosted the Cincinnati Bearcats in a non-conference game, and this was a good chance to see our top-10 team in action. 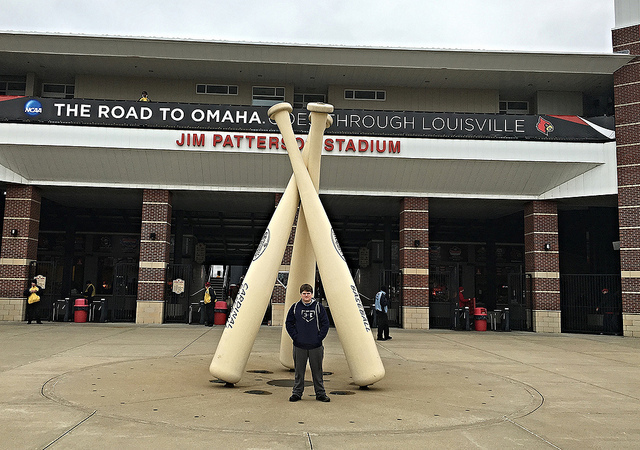 Brian loved the façade of the ballpark, with the arc and the big bats (we haven’t made it to the Slugger museum yet). 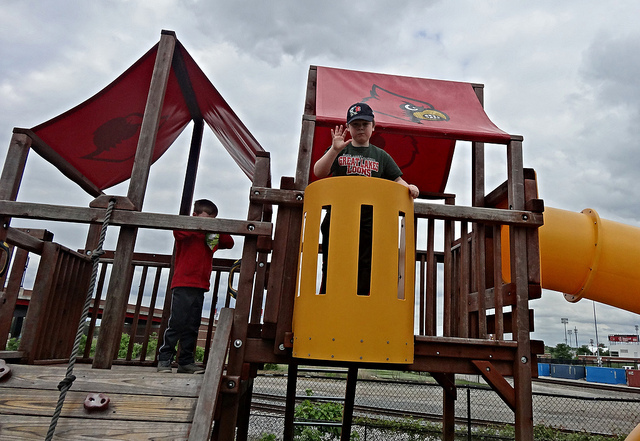 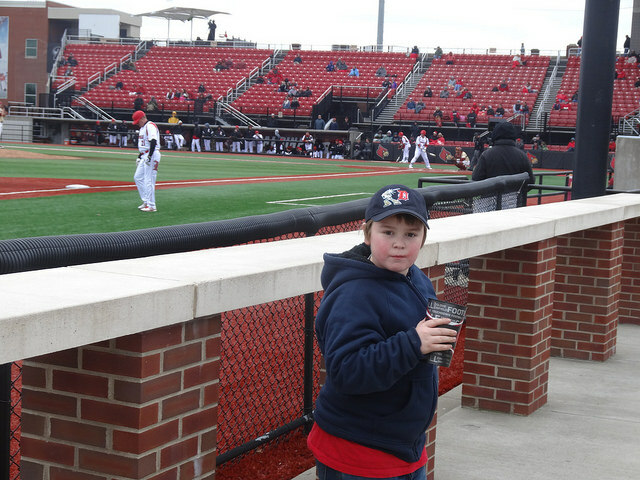 We found seats for a little while, but migrated to the outfield so he could play on the playground. 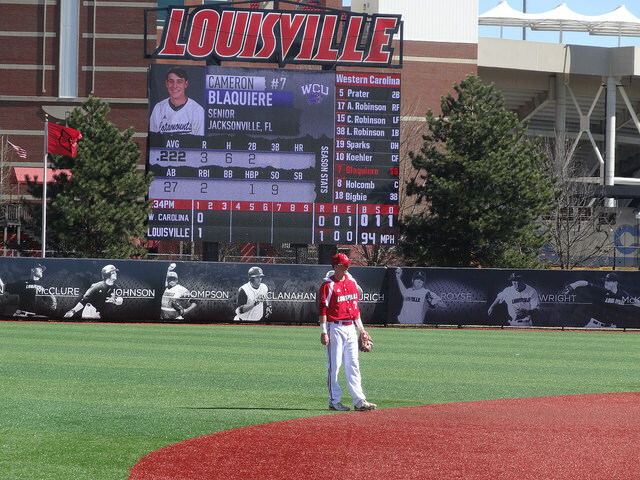 I could still watch the game, and got a solid panoramic which is always good! 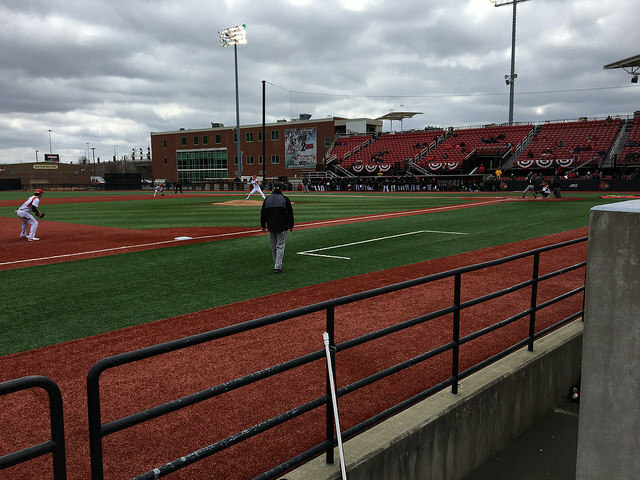 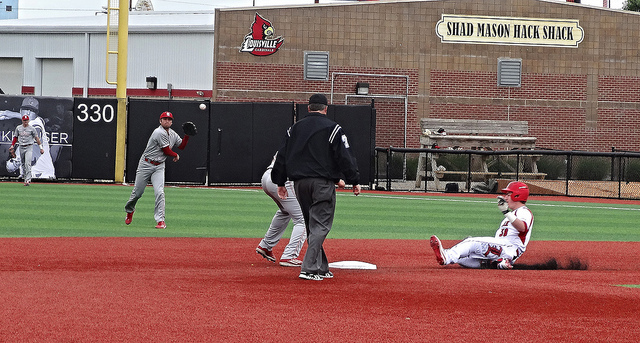 It was a decent vantage point to watch the game, and the Cardinals were playing solid ball against the Bearcats. 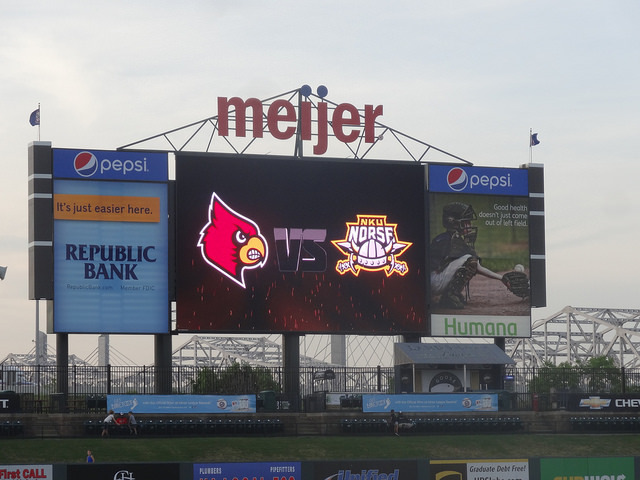 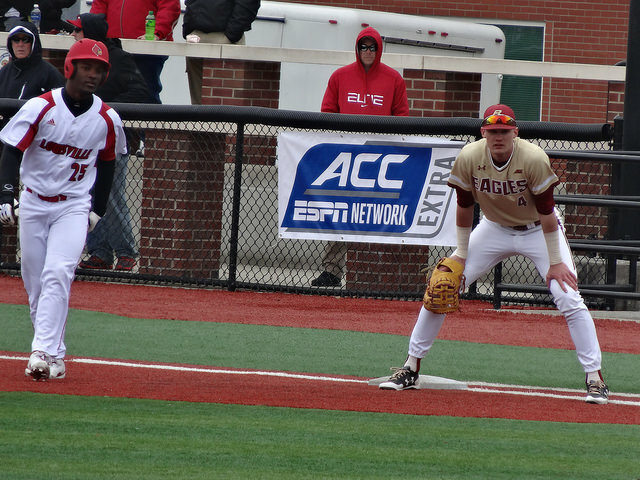 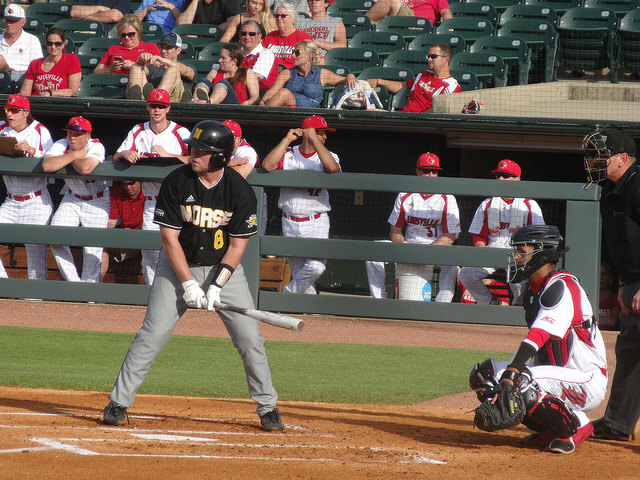 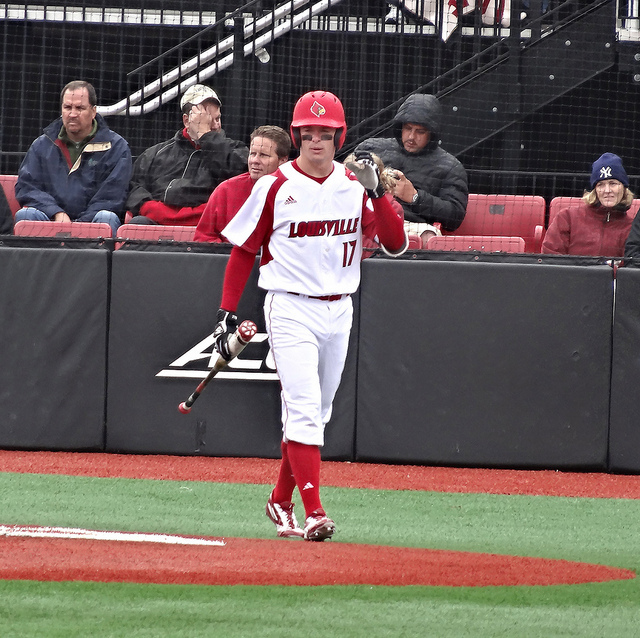 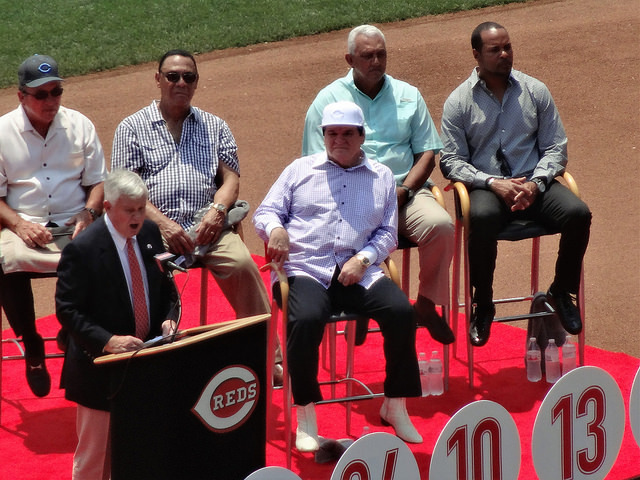 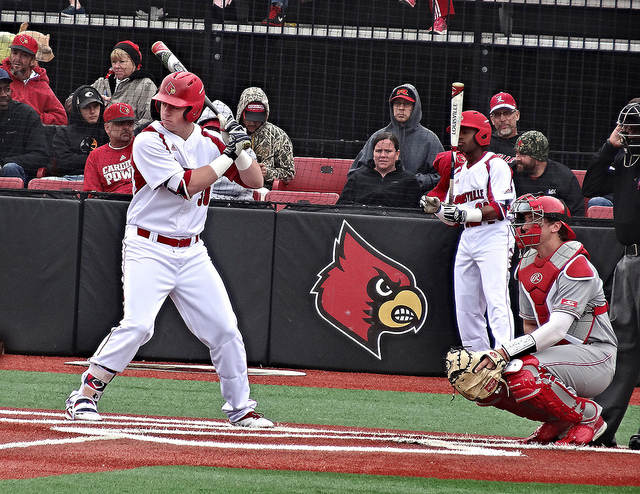 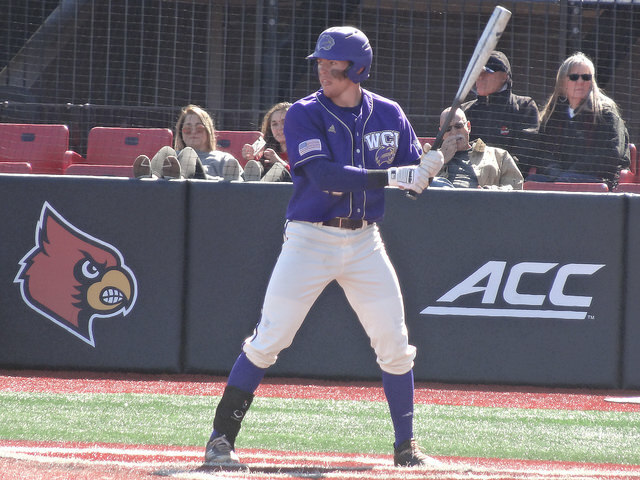 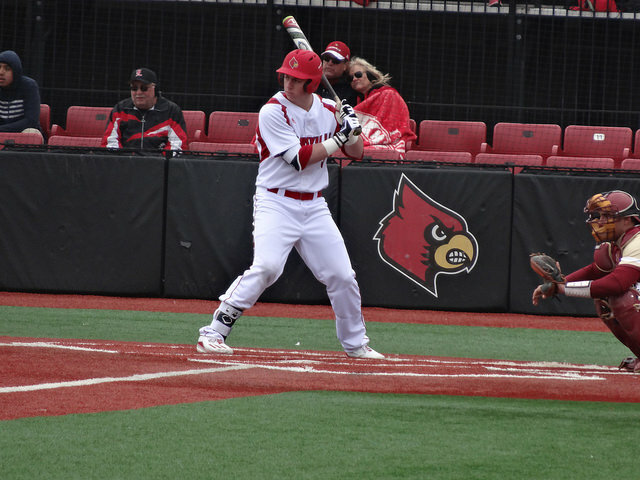 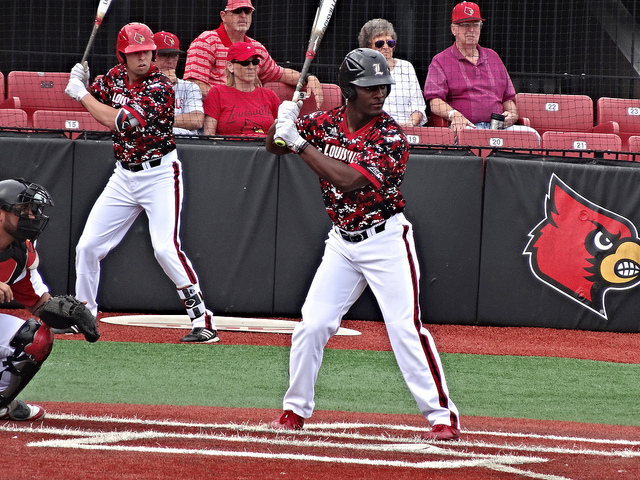 The home team had their Louisville Slugger warmed up for the game, scoring seven run. 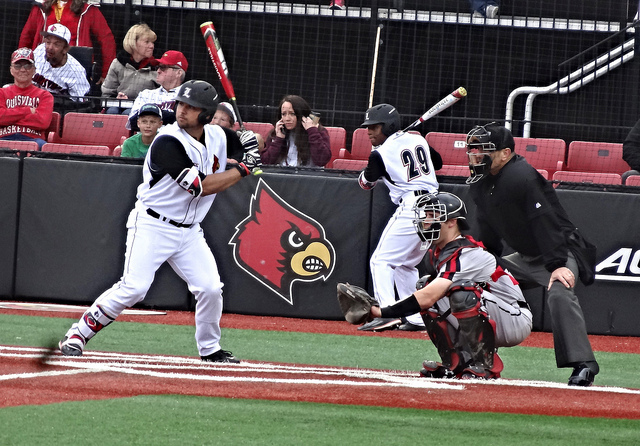 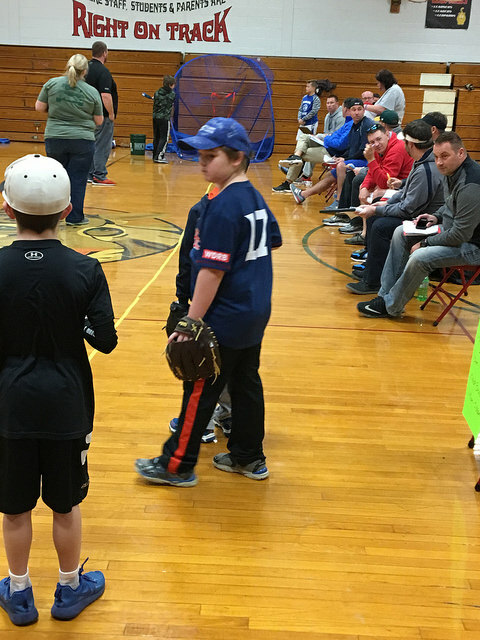 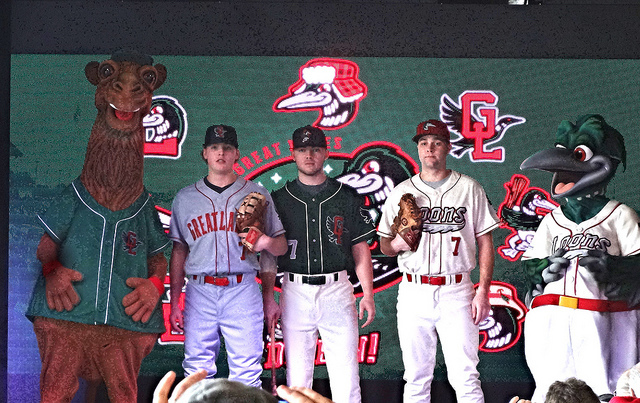 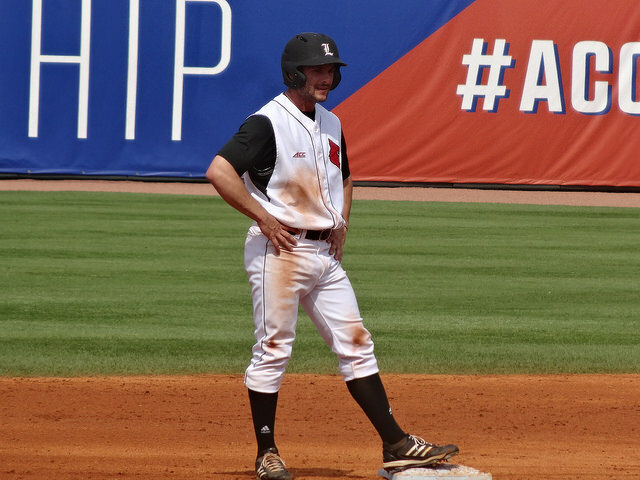 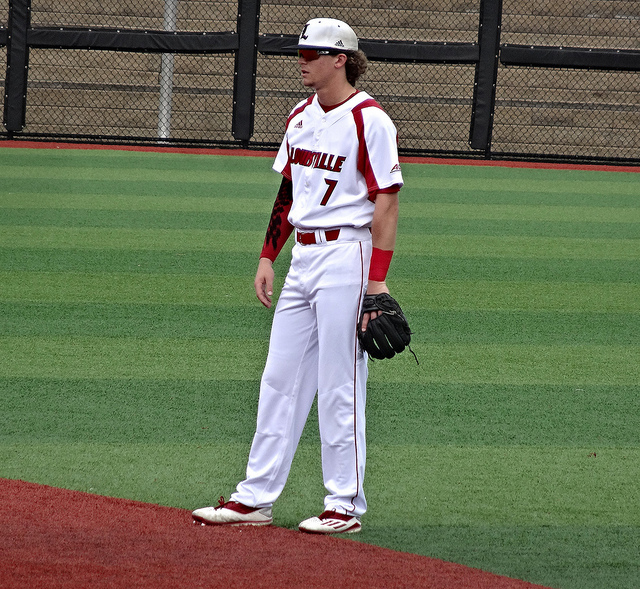 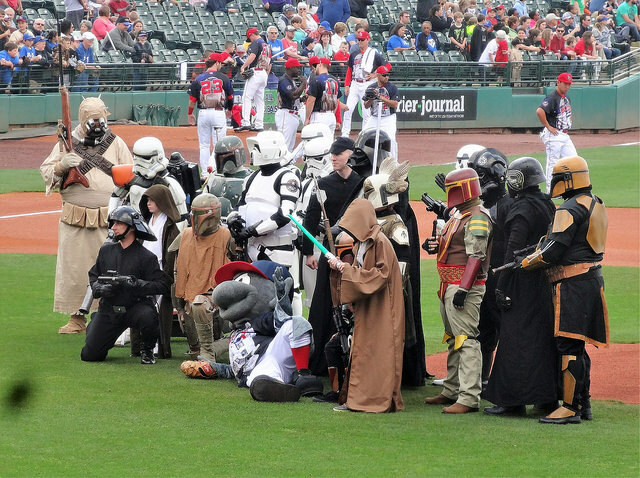 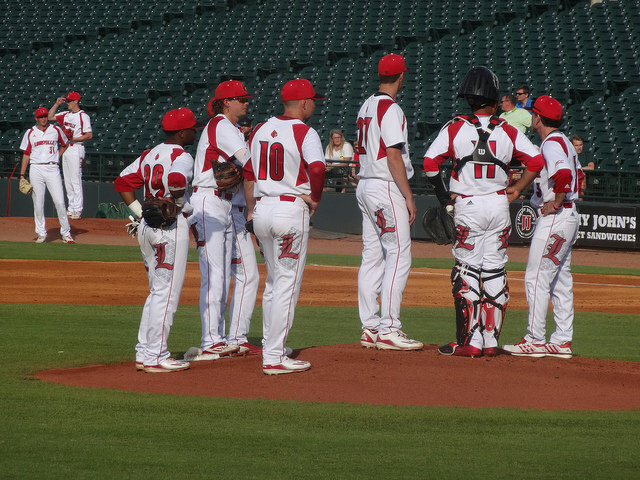 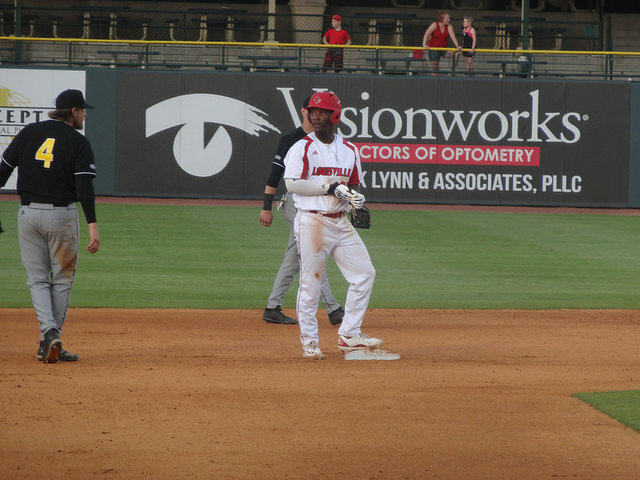 The Cards were led by Will Smith, who went 2-4 with a home run. 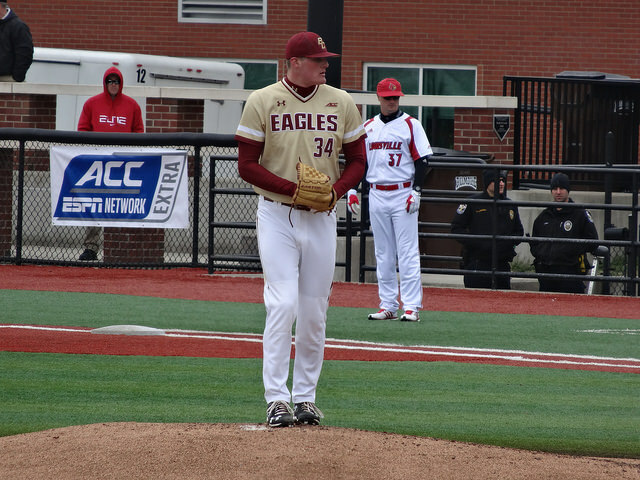 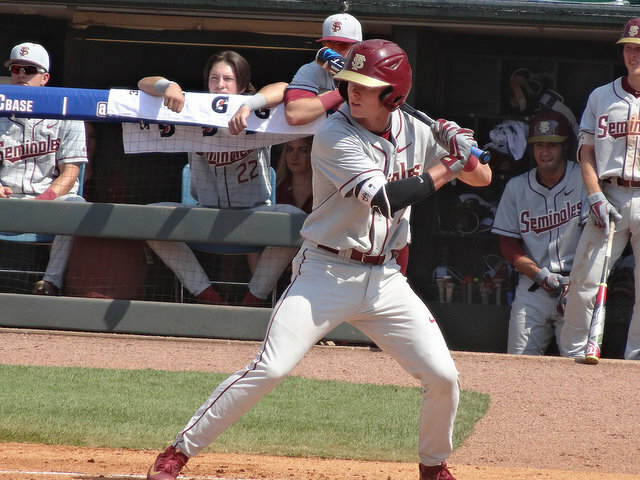 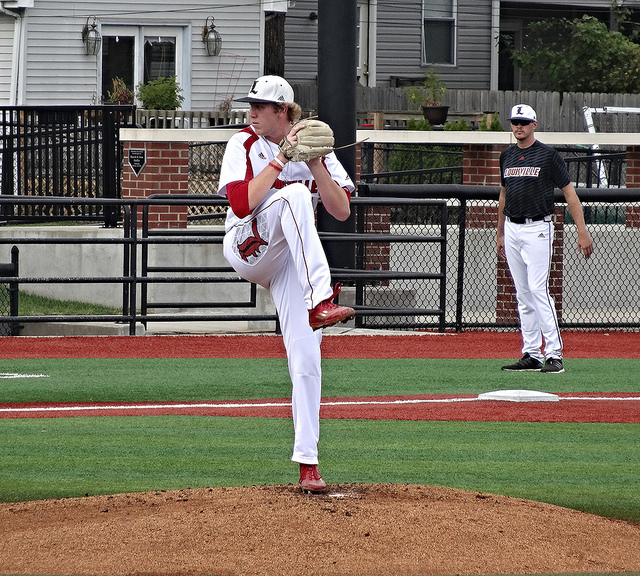 Colby Finch pitched in going 2-2 with two runs scored, while Blake Tiberi went 2-4 with 2 RBI. 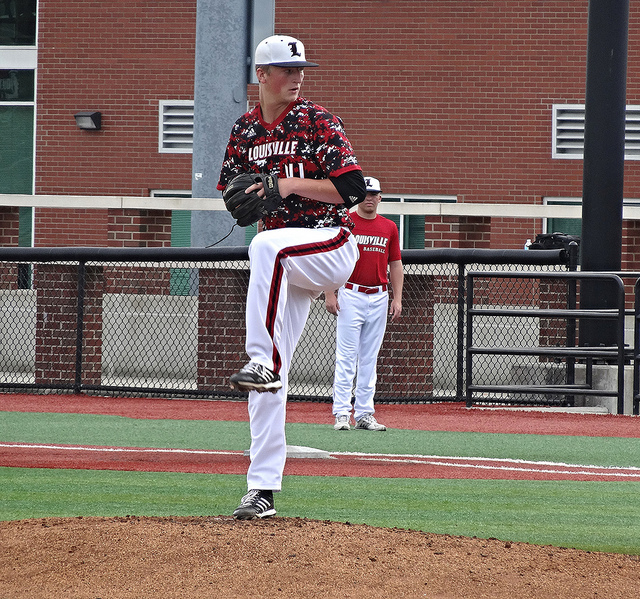 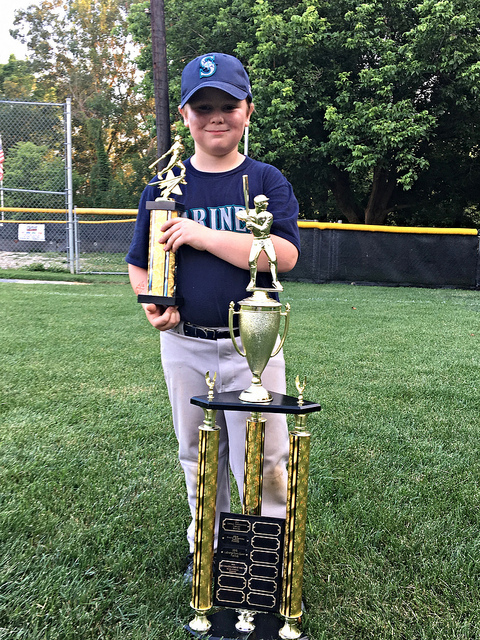 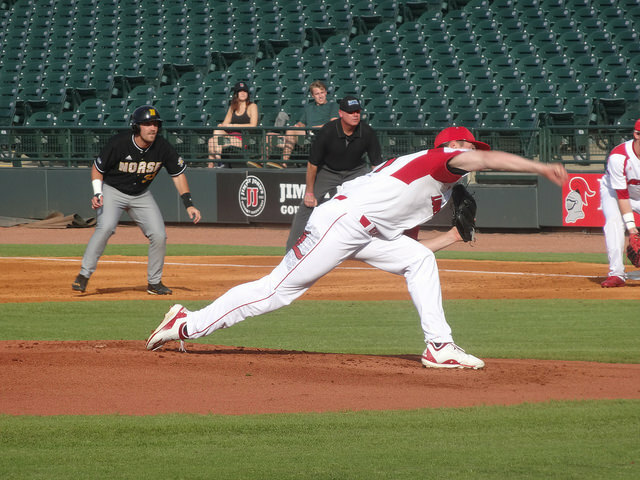 On the mound, Kade McClure picked up the win, pitching seven innings, while striking out four. 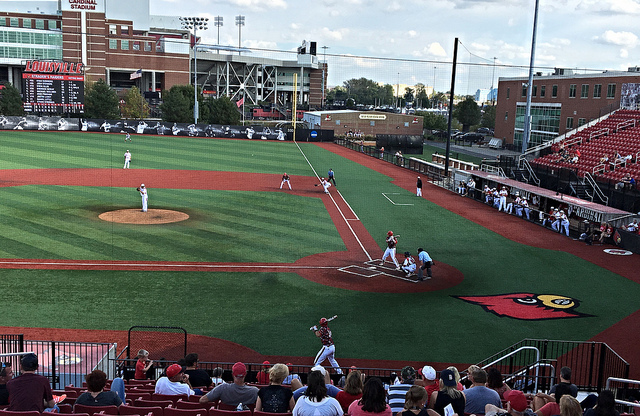 FINAL: Cardinals 7, Bearcats 1. 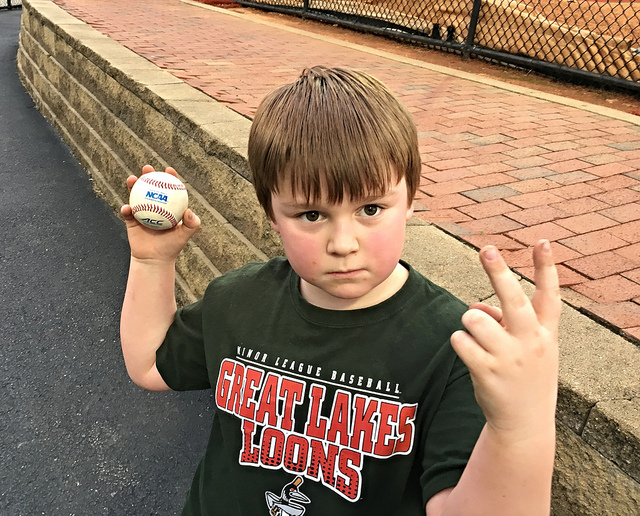 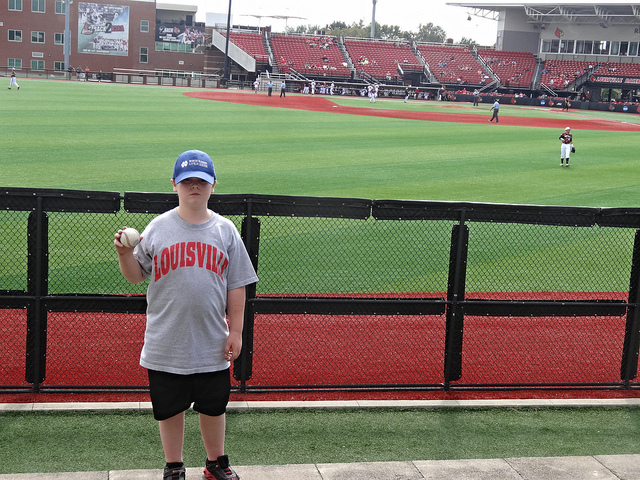 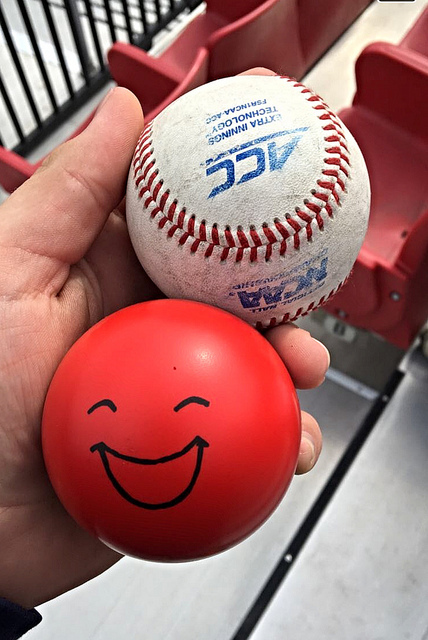 To top the game off, Brian even got a foul ball, our first at a Louisville Cardinals game!